Perfect square footage and no maintenance, yard work included. 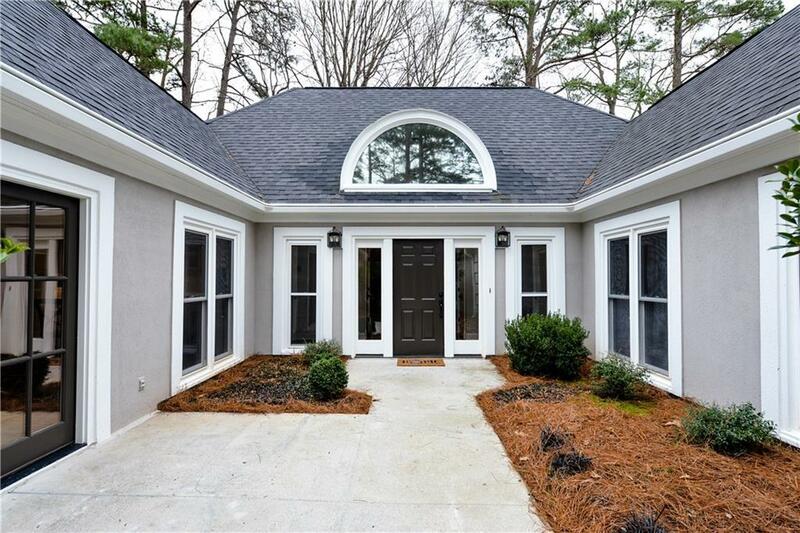 Herringbone hardwood floors greet you in this light filled home featuring 9' and 12' Ceilings - Updated kitchen with clean lines features Quartz, subway tile, under-cabinet lighting, stainless appliances and never used island cook-top. Flex space off kitchen could be walk-in pantry or wine storage plus separate mud room off garage. Master bedroom with 2 closets plus separate shoe shelving. Master bath is a masterpiece with soaking tub and separate shower. Many more details-request list. Directions: Conveniently Located With Easy Access. Exit Tilly Mill West From 141 To Right On Holland Court -or- From Ga 400, Exit Abernathy East To Left On Mount Vernon To Right On Tilly Mill To Left On Holland Court - Or - From 285 Exit North Shallowford North To Left On Tilly Mill To Right On Holland Court.